I drew this while my sinus problems made it feel like I caught a crowbar to the right side of my skull but I was in the mood to try and draw it anyway. Insert corny "willpower" joke here. 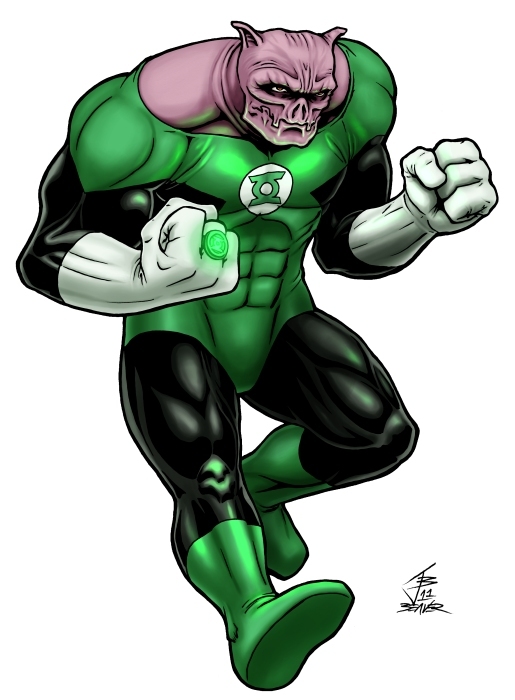 I'm not all that happy with it except for the coloring but it was fun to finally draw Kilowog, one of my favorite GLC members since Joe Staton was drawing him. His design isn't completely consistent in the books so I tried a middle-of-the-road look to cover all the bases. 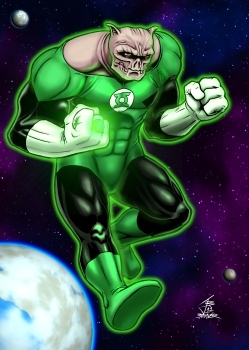 I tried to give him a chunky look so he didn't just look like the typical Roll Fizzlebeef bodybuilder-giant in most comics.